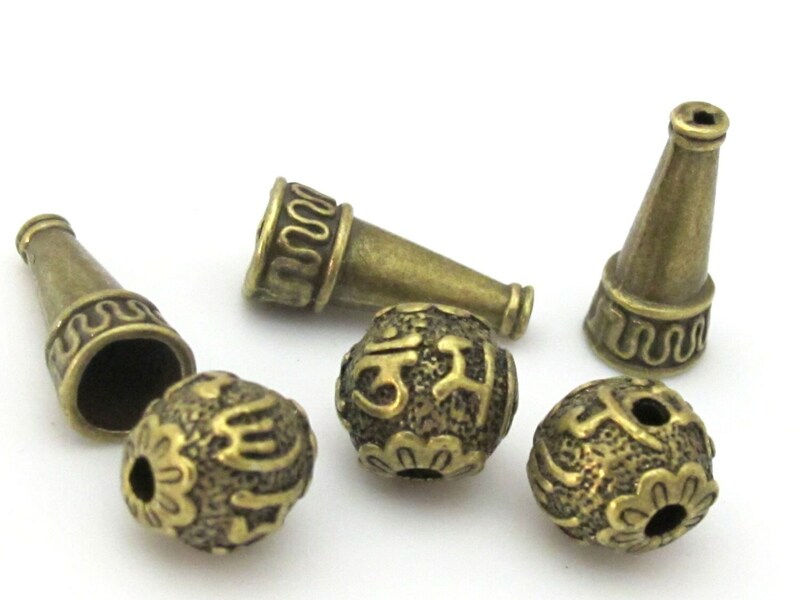 This listing is for 3 sets of 3 hole Guru bead and column bead set . 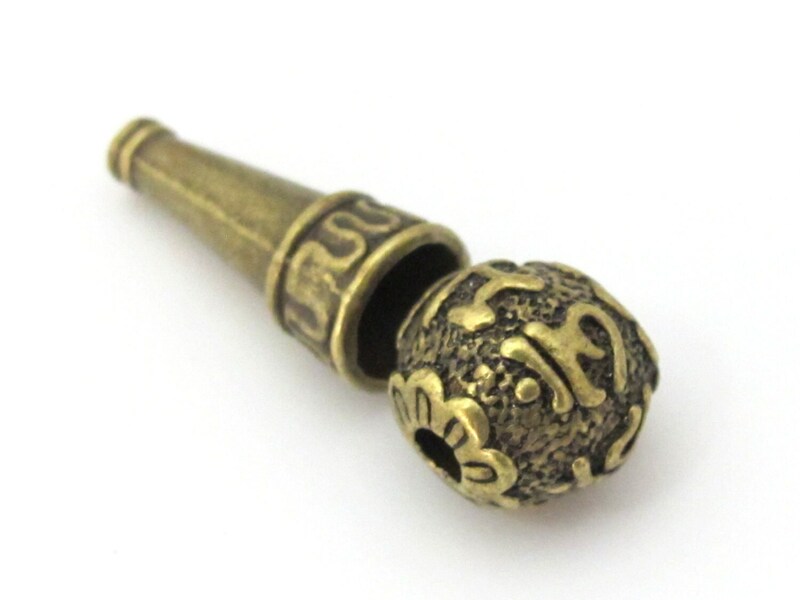 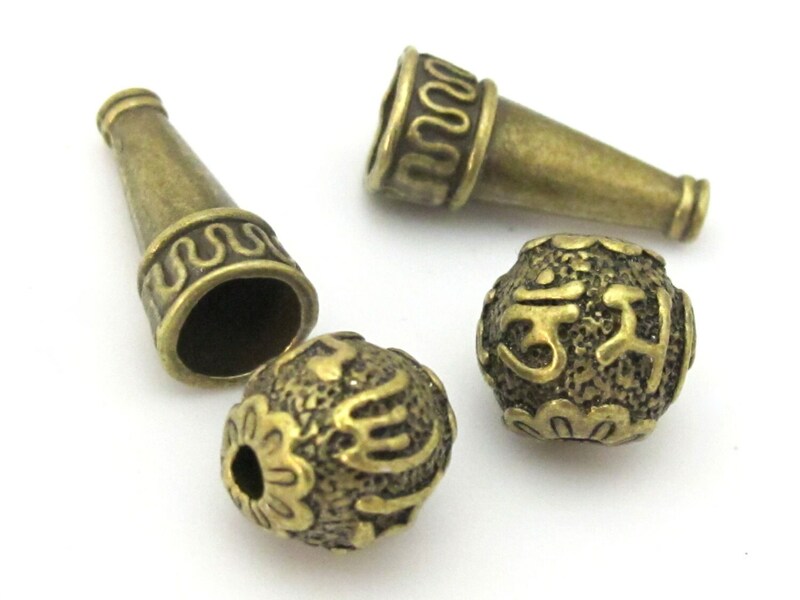 Tibetan six syllable om mantra is inscribed on guru bead . 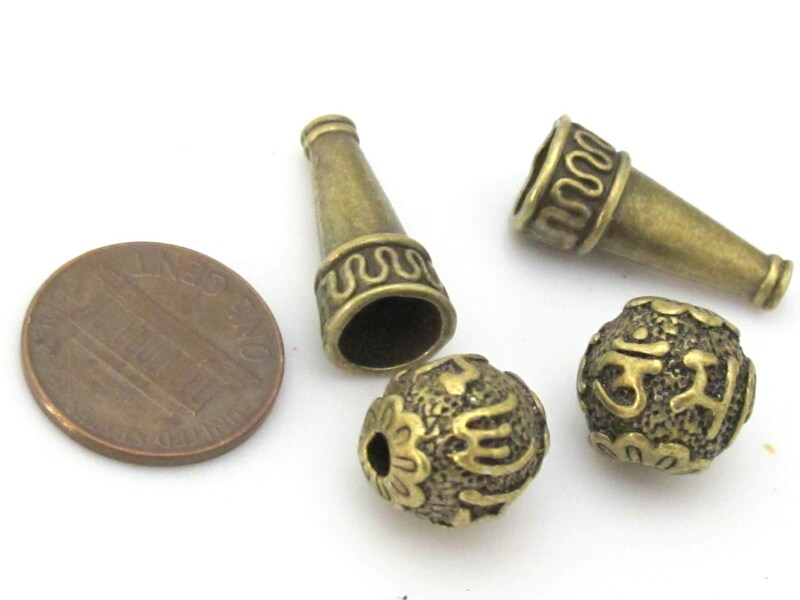 Size : Guru bead is approx 12 - 13mm wide. 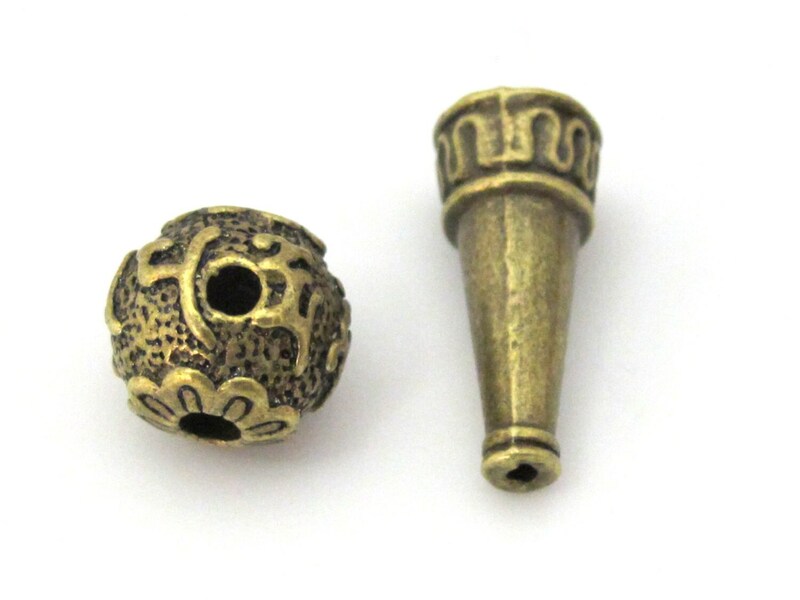 Column bead is approx 21 -22 mm height x 9 -10 mm wide.